Pritesh Rathod represented the family of 21 year old Fallan Kurek, who died in May 2015 after a massive pulmonary embolism triggered by the use of the Rigevidon combined contraceptive pill. Fallan had been prescribed the pill to alleviate symptoms associated with heavy periods. After collapsing at home with breathlessness and pains in her chest and leg, her step father took her to Robert Peel Minor Injuries Unit, a unit staffed entirely by nurses. The nurse practitioner assessing Fallan noted only chest pains and did not note any symptoms of shortness of breath, leg pain or her use of the pill. She was discharged with advice to take pain killers. Three days later, she collapsed again at home. Paramedics were called and she was transferred to hospital, where she died a few days thereafter. At an inquest held at Cannock Coroner’s Court, the nurse practitioner maintained that he had not been told about Fallan’s use of the pill, breathlessness or leg pain. After cross-examination, and after hearing evidence to the contrary from Fallan’s step father, Mr Andrew Haigh, HM Coroner for South Staffordshire, found that the nurse practitioner was in fact told about the pill and other symptoms. He also considered evidence in the form of text messages sent by Fallan suggesting that she had told him about her use of the pill and breathlessness. The Coroner held that further assessment of the risk of DVT did not take place and that Fallan died from a complication of a therapeutic medication when its side effects were not effectively treated. The findings of the inquest have also raised wider publicity about the potential side effects of the contraceptive pill, with ITV collecting numerous responses from women who have had similar experiences (found here). 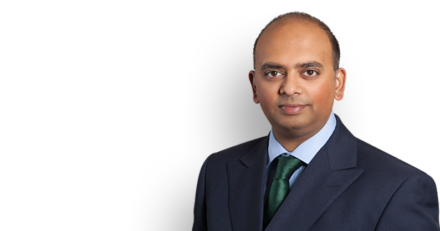 Pritesh Rathod was instructed by Suzanne White of Leigh Day.